We are currently in the process of making a new update to our Grog application which includes the Loughborough, Hunstanton and Chatsworth weather forecasts! UPDATE: We have had a request to include weather forecasts of areas of Portugal! Exciting New Grog App! - Finally Here! Due to a major revamp of our main weather app Grog, we have moved it to a different location in Google Play. Please be aware that it will not automatically update itself and that you will have to manually uninstall it and install the new version. For the new features, please see below. We are sorry for any temporary inconvenience caused. Grog is a clever weather app that we, as amateur coders, have developed. It is a simple but smart app which is designed to enable the user to access the specific weather forecast for the day and place that they want in a much simpler and slicker manner. Currently we have a range of places from Scotland, England and the U.S.A covered in our available forecasts. The app is carefully designed to enable the user to smartly select the place that they wish and any day up to a week ahead and then have the corresponding forecast displayed in a fast manner. The user can also choose to be given directions to the displayed area if the weather suits their liking and can save their own personal Favourite Forecast for quick reference. To see a full set of instructions on how to use the app, press the information symbol on either the Portrait or Landscape page. We hope you find our service useful. Please also be aware that as we are teenagers our updates and fixes might be slower than one may expect from a professional service although we will try our hardest to comply with your wishes. 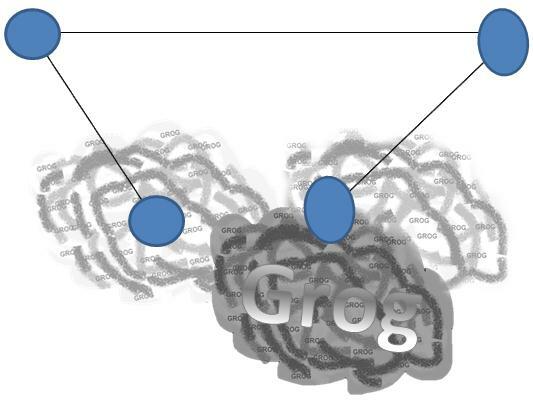 Today we release Grog version 2.0! Our first two apps have been released to Google Play! Grog, our weather app, and Mole Masher, our first mobile game. Thank you for your patient wait. All Coming Soon to the app store! Our website should be now up and running (If not, how are you reading this?!) and we will be uploading news, updates, screenshots, the lot! Check back here every often and you never know, maybe something exciting will have happened!